 The Strategic Banking Corporation of Ireland (SBCI), Ireland’s national promotional institution for low-cost flexible funding for SMEs, has today published a 2018 progress update and its 2017 annual report and accounts. New on-lenders and additional risk-sharing products are planned this year and beyond. “2017 was a transformative year for SBCI as it evolved from primarily a conduit for channelling low-cost funding to SMEs to helping address the access to finance issue through the delivery of risk sharing initiatives for SMEs.